Most Common Contract Mistakes - Resnick Law, P.C. Contracts play a critical role in nearly every aspect of our daily lives. An adult can expect to sign a contract in order to complete medical visits, get help with a business, or retain an attorney to provide civil or criminal legal advice. Unfortunately, many people make basic mistakes when it comes to contract preparation that lead to numerous problems including litigation. A seemingly minor error on a major contract can lead to disaster; it is extremely important to check all contracts you draft carefully with the help of a qualified attorney. 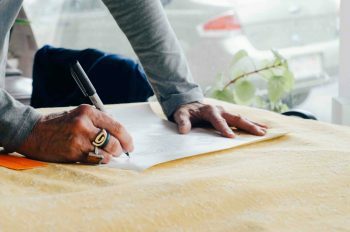 Being aware of some of the most common contract mistakes will increase your understanding of the issue while helping you better prepare for the future. In the heat of the moment, many entrepreneurs or stressed out professionals are tempted to base their decision to enter into a contract with a person or business based solely on that party’s appearance of reputability. Instead of conducting a thorough investigation regarding the history and business ventures of a prospective partner, employee, or contractor, a person might do a cursory internet search or perform no research at all. This opens a person or business up to the enormous risk of entering into a contract with someone who is unreliable, unethical, or simply unable to uphold their part of the agreement. When this happens, companies and individuals lose money that they may have a difficult time recovering. A person who is drafting his or her own contract may want a document that reads easily and does not contain too much legalese. While, in theory, this may seem like a good idea, especially on informal contracts, it leaves too much up for negotiation. Any vague or poorly defined terms can become a point of contention between two arguing parties. If the terms are not clearly defined, a determined individual may be able to get out of his or her legal obligations by claiming to have misunderstood the agreement or presenting an alternative interpretation to already vague terms. Even though thousands of small businesses throughout the United States provide stable employment for tens of thousands of citizens, over half of all businesses started are forced to close their doors. This occurs for numerous reasons and one of them is an inability to acknowledge the chance that their business, no matter how well planned, may fail. When creating a contract, it is crucial to include provisions that acknowledge what happens if either party defaults on their obligations and how to handle the termination of the agreement. Setting up a clearly defined plan is easier in the planning stage than when the business is suffering and managing parties are under pressure. Perhaps the biggest mistake of all when it comes to contract mistakes is failing to see an attorney before finalizing the agreement. No matter how thorough you believe your contract is or how appropriate it is for your business venture, always consult a contract law attorney before signing any agreement. The legal team at Resnick Law is here to help guide you during the most important moments of your personal and professional life. Our lawyers are ready to answer your questions and ensure that any contract you sign protects your best interest. Contact us today to schedule a consultation so that we can begin reviewing or drafting your next contract immediately.